While it does seem like Tuscan and Diego have separated themselves from the pack, it's not out of the realm of possibility for anybody all the way down to a difference of 8 to have a shot. You should all be receiving an email today requesting your picks for the finals. 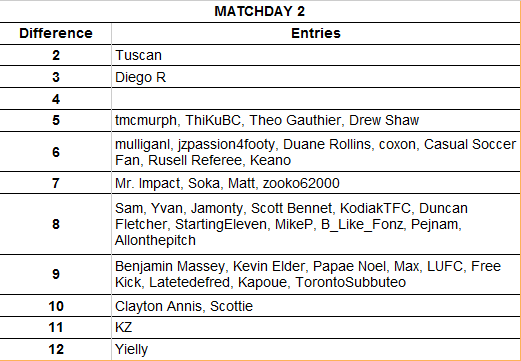 A more comprehensive look at matchday 2 may (or may not, it's nice weather after all) come this weekend.